So I don't sew enough for myself. I mean who does really? So I have been trying to apply to test more patterns for myself. And I bought a few patterns that I think I will eventually sew. I recently had the chance to discover my inner boho and test a new pattern called the Adeline for the Aspiring Designers challenge. Before, I dive into my review, a few specifics about the pattern. 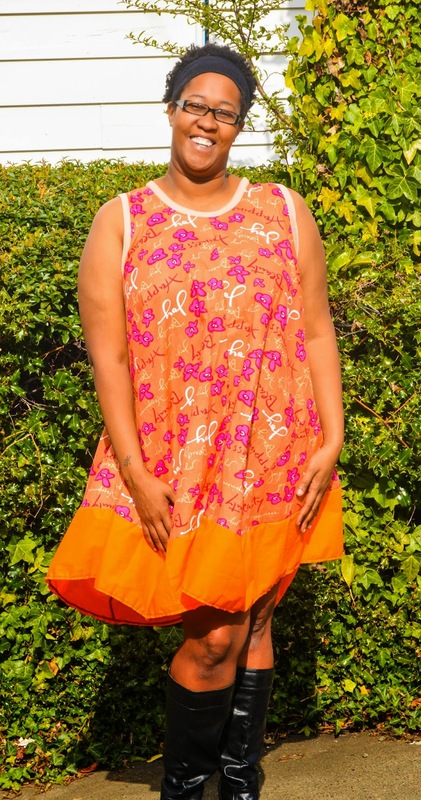 Sizes: There is the small Adeline which ranges from size 6-10 and the large Adeline which ranges from sizes 14-24.So no worries about making something for yourself and then not fitting in it after a huge meal..... or maybe that is just me? Fabrics: Lightweight wovens, knits, or really anything with a decent drape would work well. 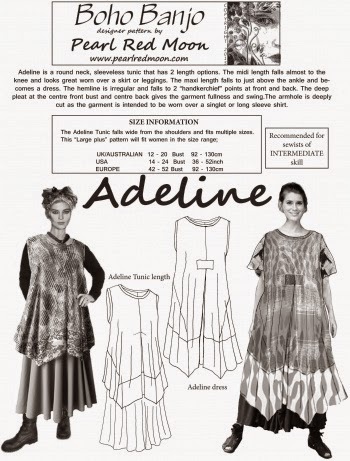 Pattern: There are very few pieces for this pattern, but for the larger ladies, it is about 50 pages to print out. At first, honestly I was concerned that pattern would be a bit of a hassle because it was over 50 pages long. So I reached outside of my comfort zone and called my local FedEx store to see about printing it in a large format. And I will never go back to printing those huge patterns at home! I placed my order over the phone and the helpful salesperson was able to get the options I needed. A few hours later, I dropped in and picked up my 2 sheets of A0 paper. After cutting out my pieces, I had to choose some fabrics. 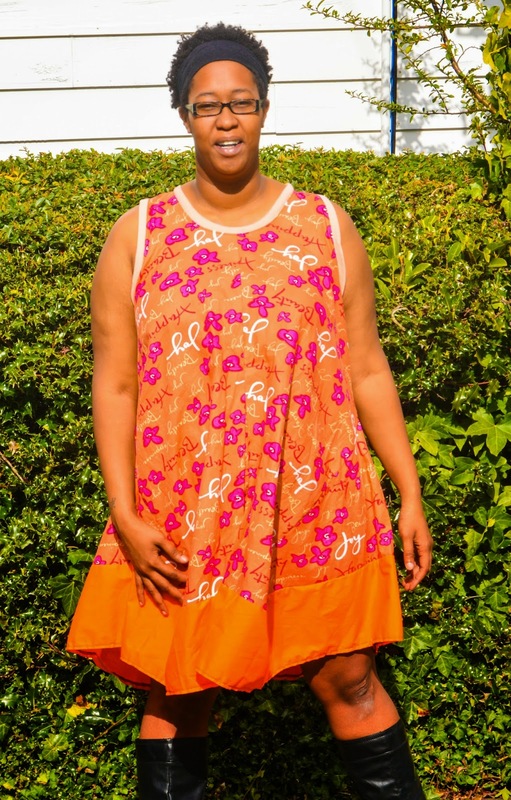 With the wide range of options, I chose this orange fabric I loved, Now because I am a larger girl, I had to be sure to cut the fabric right the first time because I did not have enough time to recut anything. And then I promptly cut the front upside down.... Yup, admitting you made a mistake it the first step. But I didn't notice all the way until I was finished. And I think it turned out fine anyway. Gotta love those husband amateur photographers! I think my eyes were only closed in half of the pictures this time. But I love to wear this dress, especially on rainy days, I throw some leggings on and feel comfortable all day long. Don't take my word for it... go make one for yourself.